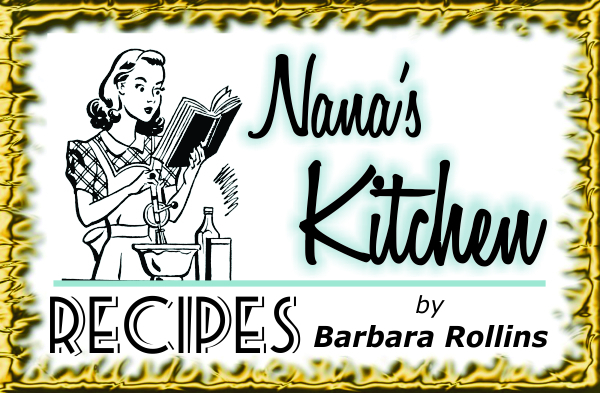 Many of you long time Puddledock Readers may have been following Nana's Kitchen and using the recipes for many years. 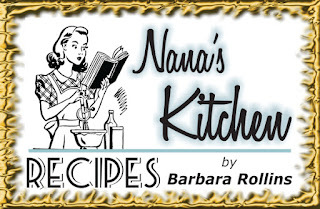 Our Nana's Kitchen contributor, Barbara Rollins, has decided to retire from the Puddledock and will no longer be sharing recipes with us. The August issue will be her last. We're so sad to see her go, but we appreciate the many years of service, and good food, she has promoted, as she shared her favorite entrees, side-dishes, soups, and desserts with us. I know all our Puddledock Press, readers, volunteer staff, and towns folk, all thank Barbara for the many years she provided her recipes to us, and wish her well in her new endeavors. Thank You, Barbara for Nana's Kitchen. We appreciate your efforts and wonderfully delicious recipes. We'll feature Barbara's recipes for the last time in the August issue. And we will be looking for a new recipe writer/sharer for September and moving forward. 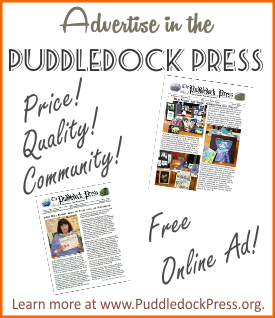 If anyone is interested in writing a food/recipe column for the Puddledock, please contact us at the Puddledock Press office, and let us know your ideas for the column. The Puddledock Press has always been a historically focused paper, so we will honor the memory of the Nana's Kitchen column. 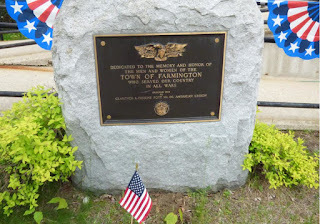 But, we are also a community minded and forward thinking paper, so we welcome new ideas for columns. As a community that loves good food, we do want to feature a food related column, so recipes are very popular, and we still want to feature them. Come on all your cooks out there! 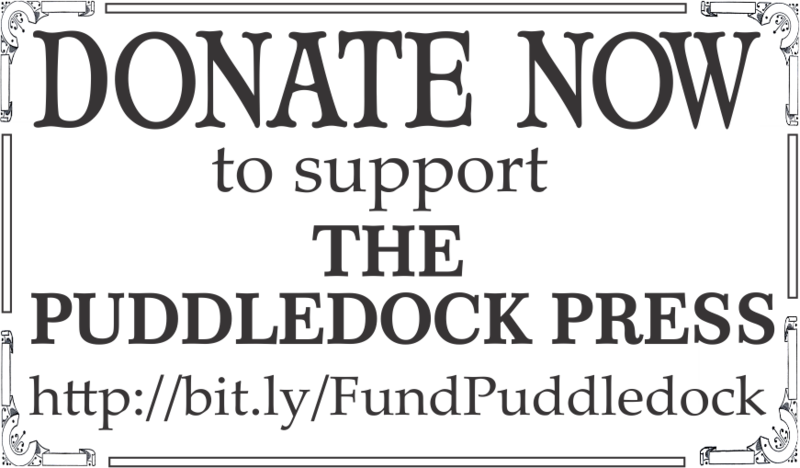 How about doing a column for the Puddledock! Share your delicious recipes and great tasting food ideas. We'll be waiting for you!